With a commitment to innovation and excellence, the East Midlands-based boiler brand produces a range of boilers to suit all needs and pockets, including system, heat only and Combi boilers. Baxi boilers benefit from a SEDBUK A-rating for efficiency and are simple to use and compact in size. Their boilers not only meet but exceed the latest European standards for energy efficiency, safety and emissions. If you choose a Baxi boiler you can be safe in the knowledge that your home will be heated by a trusted brand built around a reputation for producing quality products at affordable prices. The Baxi range includes Combi, Regular and System boilers which use natural gas as well as LPG (liquefied petroleum gas). Condensing Combi boilers are a popular choice. Simple to use and compact in size, they are ideal where space is limited. Within the Baxi range there are 4 different Combi boilers available: Platinum, Duo-tec, Neta-tec and Avanta. A top of the range Combi, the Baxi Platinum Combi HE A is available in outputs of 24kW, 28kW, 33kW and 40kW, which Baxi are offering with a very attractive 10 year warranty until 31st December 2014, subject to terms and conditions. Other Combi condensing models include the Duo-tec 2 GA, Duo-tec HE A, Neta-tec EA, Duo-tec GA, and the Advanta Exclusive and Advanta Plus. In their System boiler range choose between the Megaflo Compact GA, Megaflo HE A and the Avanta Plus. While the Solo HE A and Avanta are available in the heat only range. But what size of boiler will best fit your needs? If you live in a flat or a terraced property with up to 10 average size radiators and 1 bathroom, a boiler with an output of between 24-27kW Combi should meet all your requirements. A medium to large 3-4 bed house will need at least a 28kW boiler, while a a regular or system boiler of 12-15kW will fit the bill if you live in a property with one bathroom and up to three bedrooms. A larger 4 or 5 bed property with one bathroom and an ensuite shower room will require a higher output, typically 30kW. Baxi boiler costs will vary, depending on the size and type of the boiler. Prices can range between £700 and £1,300. On top of that you will need to factor in the cost to install the boiler. It costs on average £1,500 to install a new gas boiler in a different location, less if it’s sited in the same place as the existing boiler. The potential costs in this table are just for the units and don’t include the cost of installation. Depending on the installer carrying out the work, the price of installation will vary, which is why it’s important to compare quotes. 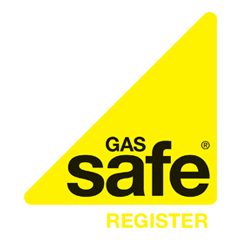 We can arrange for approved Gas Safe Registered boiler installers to provide free Baxi boiler quotes to make finding a quote to suit your budget much easier. Energy prices are on the rise and more and more households are struggling to meet the demands of escalating fuel bills. One of the most practical ways to bring bills down is to use less energy – or install an energy saving modern condensing boiler. The savings can be considerable. You could reduce your annual energy bills by up to £300 if you switch from an old G rated boiler to a modern A-rated high efficiecy Baxi boiler. Certain Baxi boiler models within the range come with warranties that really stand out from the crowd. For example Baxi is offering a parts and labour guarantee of up to 10 years on the A rated highly efficient Platinum Combi HE A boiler until 31st December 2014. The Baxi Neta-tec Plus Combi GA comes with an extended 5 year warranty, whilst the Baxi Neta-tec Combi GA is offered with a standard 2 year guarantee. Compare Baxi gas boiler prices and request up to 3 free quotes from Gas Safe Registered heating engineers in your local area.